The Peace Mission 2014 antiterrorist exercise of the Shanghai Cooperation Organization (SCO) will be the largest ever in the organizations’ history, a Chinese military official said on Tuesday. 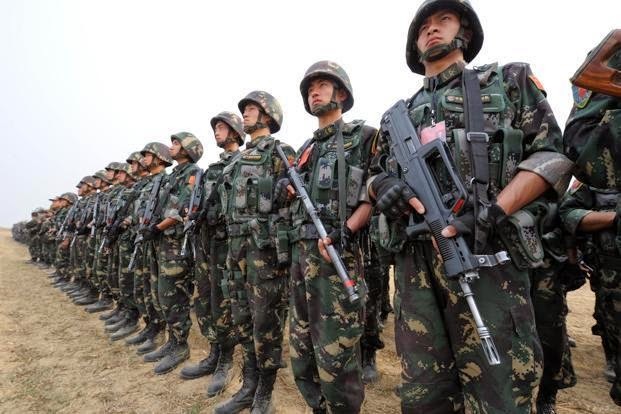 “It’s the first time that so many troops and so much weaponry have been deployed in joint drills under the SCO aegis,” Wang Ning, chief director of the drilla and deputy chief of the general staff of the People's Liberation Army, told the China Daily newspaper. 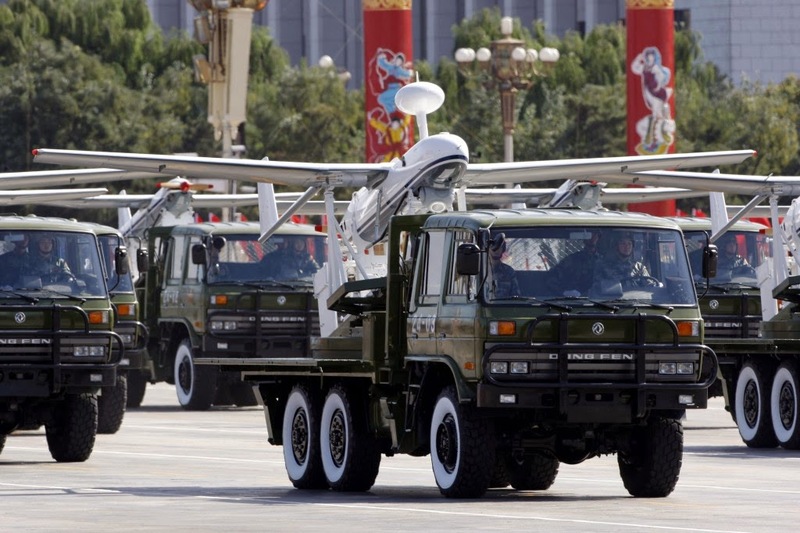 Drones, Airborne Early Warning (AEW) aircraft, air-defense missiles, tanks and armored vehicles have joined the anti-terrorist drills in north China's Inner Mongolia Autonomous Region that will be held from August 24 to 29. The joint exercise scenario involves a separatist organization in a certain country, supported by an international terrorist organization, plotting terrorist attacks and hatching a coup plot to divide the country, Wang said. Three days after an eruption of violence in the western Chinese region of Xinjiang this summer left nearly 100 people dead, the region’s “antiterrorist command” asked the country’s biggest space and defense contractor for help. It wanted technical experts to operate drones that the authorities in Xinjiang had ordered last year in anticipation of growing unrest. The target was “terrorists,” according to the online edition of People’s Daily, a Communist Party media outlet. On Aug. 1, the company sent a technical team to Yarkand County, in Kashgar Prefecture, where state media reported that on July 28 security forces had shot and killed 59 people described as terrorists and about three dozen others described as civilians. There, the drones were deployed on multiple missions round-the-clock, operated by special forces in Yarkand but under the supervision of the space company team, state media reported, and provided “important intelligence in tracking down and arresting terrorists,” Legal Daily reported, without elaborating. Dozens of new cities and towns will be built from scratch in China’s remote and restive far west as part of the country’s intensifying “people’s war” on terror, according to reports in the state media. “Urbanisation serves as a fundamental solution to tackle poverty, unemployment and inequality in less-developed southern Xinjiang where religious conservatism is prevalent and terrorist attacks occur more frequently,” the state-run Global Times newspaper reported. Eight terrorists have been executed with the approval of the Supreme People's Court in Xinjiang, according to the publicity department of the Xinjiang Uygur Autonomous Region on Saturday. Their crimes involved five cases including the terrorist attack in the Tian'anmen Square in Beijing, the gun-seizing and police-assaulting case in Aksu, the illegal manufacturing of explosives and intentional killing case in Kashgar, and the establishment of terrorist organization, murder of government officials and incineration of checkpoint in Hotan. The nascent alliance between Azerbaijan, Georgia, and Turkey took a big step forward this week when the defense ministers of the three countries met trilaterally for the first time and promised to carry out joint military exercises. 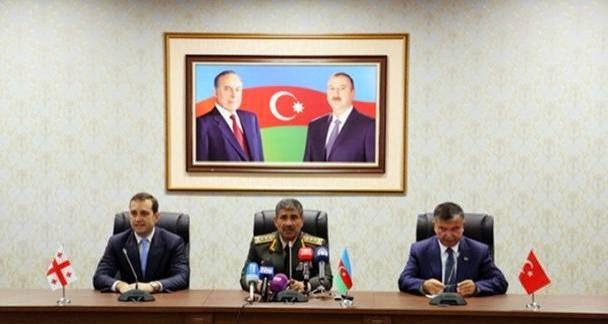 The three ministers, meeting in the Azerbaijani exclave of Nakhchivan on August 19, agreed to work on "tripartite exercises to enhance the combat capability of the armed forces of the three countries and the achievement of mutual understanding during joint military operations, including the organization of joint seminars and conferences, cooperation in military education, development of military technology, the exercises for the protection of oil and gas pipelines," said Azerbaijani Defense Minister Zakir Hasanov after the meeting. Few eastern European countries have pushed harder to ally with the West, and Georgia hopes to advance its membership prospects in the North Atlantic Treaty Organization at a NATO summit in two weeks. Yet some NATO leaders are hesitant. The EU issued a careful statement noting that the association deal requires an independent judiciary. But privately, European diplomats are concerned that Georgia could be setting a precedent of political vengeance. Mr. Saakashvili has rejected the charges and said he will not cooperate. "Mikheil Saakashvili has a long list of friends in Western capitals," said Balazs Jarabik, a visiting scholar at the Carnegie Institute for International Peace. "But I think there is a consensus that much will depend on the process against him and how fair it will be." Tbilisi Mayor, David Narmania is not ruling out the possible seizure of Georgian ex-President Mikheil Saakashvili's property. "The mechanisms envisaged by the procedural legislation must be adhered to," Narmania said Aug. 20 commenting on a possible seizure on Saakashvili's property. David Darchiashvili, an MP from Saakashvili's National Movement Party, also said today that the prosecutor's office is planning to seize the former president's property. The Yeniçağ, a newspaper from Azerbaijan known for being against the Gülen Gang, has reported that the oil company SOCAR is now trying to reopen Gülenist schools in Azerbaijan which had recently been closed down by the government. Agil Alesger, the editor-in-chief of the newspaper, wrote about the relations between the Gülen Gang and SOCAR. The Azerbaijani oil company is accused of financing the Gülenist schools in Africa and hiring the schools’ personnel to prevent their deportation when the schools were closed. Part of the money shared by the Gülen Gang was allegedly transferred to Bank Asya while the rest was sent to a number of American banks. The newspaper also claimed that the gang has close relations with the CIA through Paul Henze, Graham Fuller and Henri Barkey. The illegal organization is believed to be also linked to the intelligence organizations of Germany, Israel and the UK. The Islamic State in Iraq and the Levant (ISIS) has issued a statement on seizure of one more petrol tanker owned by the State Oil Company of Azerbaijan Republic (SOCAR). ISIS militants have also released the photo of the automobile. 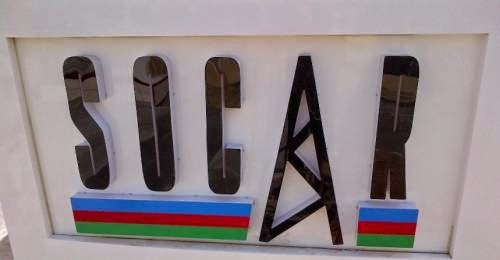 Spokesman for SOCAR Nizameddin Guliyev told APA-Economics that this information is false. The Turkish school which operated pursuant to Turkmen-Turkish agreements has been closed down in Ashgabat. Among its students were children of Turkish diplomats, entrepreneurs and builders as well as local children. It had been announced earlier that, starting from the upcoming academic year, Turkmen children would no longer be admitted into the school.